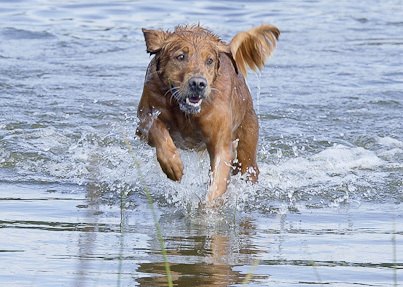 Although Goldens excel in many different performance events, they aren’t Golden Agility dogs, Golden Obedience dogs, Golden Tracking dogs, or Golden Therapy dogs. They are Golden Retrievers! 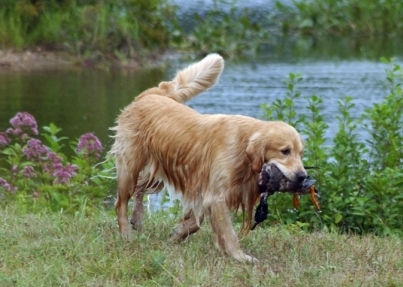 Golden Retrievers were originally bred as sporting dogs. 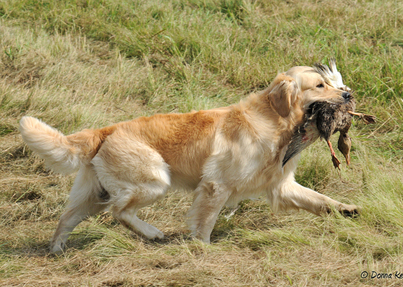 Participation in field events is a way for Golden owners to develop and demonstrate their Goldens’ retrieving instincts and to help maintain those instincts in the breed. Check this year's Events Calendar. 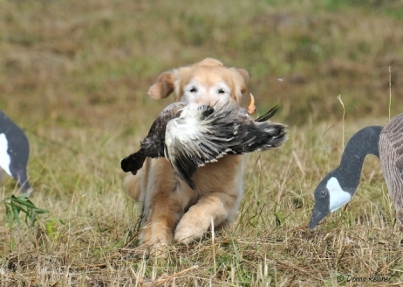 Each spring Yankee holds three levels of retriever training classes for owners wanting to learn field handling skills. The classes consist of five to six week sessions split into beginner, intermediate, and advanced levels, and are designed to prepare dogs and handlers for the various types of trials and tests. There are also additional training sessions such as a shot flyer day and a mock hunt test. All these activities are arranged by the club's very active field committee. 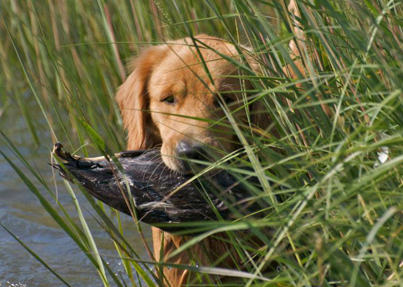 Currently Yankee offers an AKC hunting retriever test in the fall. The club also offers a GRCA Working Certificate/Working Certificate Excellent test each year. AKC hunt tests and GRCA Working Certificate tests are judged on a pass or fail basis. Hunt tests are offered in three levels of increasing difficulty; Junior Hunter (JH), Senior Hunter (SH), and Master Hunter (MH). Dogs which pass the GRCA tests earn the titles Working Certificate (WC) or Working Certificate Excellent (WCX). 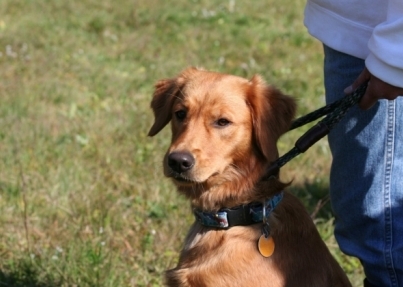 There are other retriever organizations which offer performance tests for retrievers similar to those of the AKC and GRCA. Yankee belongs to two of these, including NAHRA (North American Hunting Retriever Association) and the Master National Retriever Club. Another hunting test organization is the Hunting Retriever Club (HRC), which is a division of the United Kennel Club (UKC). 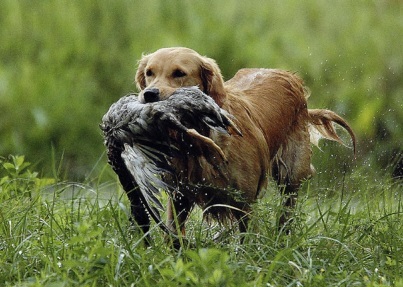 The purpose of these organizations is the betterment of all hunting retrievers, to influence the breeding and training of better retrievers, and to test the dogs’ natural abilities and acquired training. 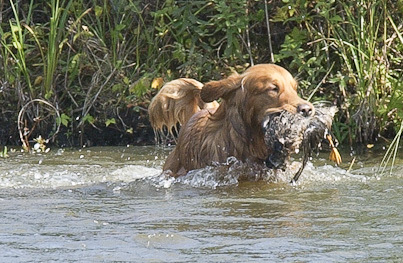 Yankee GRC does not currently conduct competitive field trials, but there are several clubs in our area that do, including Colonial Field Trial Retriever Club and Shoreline Retriever Club. The official American Kennel Club "Standard for Golden Retrievers" describes the Golden Retriever as "primarily a hunting dog." 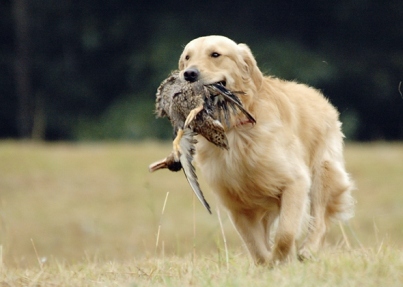 Goldens were, in fact, developed in Scotland as hunting companions specializing in retrieving upland game birds and waterfowl. Along with spaniels, pointers, and setters, retrievers are in the AKC sporting group, one of the seven groups into which the various recognized breeds are classified. All the breeds within the sporting group are considered to be hunting or gun dogs and have, over time, been bred for specific skills in hunting situations. Retrievers began to appear around 1840 in response to a perceived need among British nobility for working dogs with tender mouth, trainability, nose and stamina to find and bring back wounded and dead game. 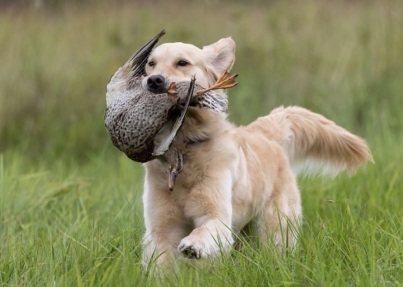 Setters and pointers had been taught to retrieve, but improvement in the firearms used in hunting dictated the need for gun dogs that could mark the fall of downed birds and proceed on command to find and deliver the game to their masters. With the advent of the breech-loading shotgun and the upsurge in the development of the retriever breeds, game shooting became a fashionable social activity in the British Isles in the late 1800s. 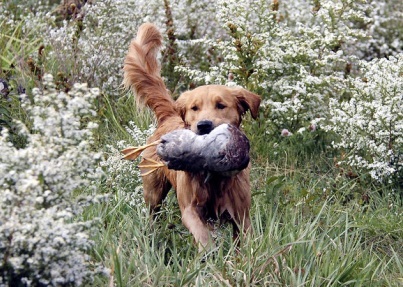 The first retriever field trial was held in England in 1899, marking full acceptance of retrievers as hunting companions (Keith Erlandson, "British Retriever Trials", The Retriever Journal, June/July 1996). The field trial game soon found its way onto American soil, as did the Golden Retriever. By 1937, Goldens were competing in the American version of field trials. In fact, the first American national field trial champion in 1941was a Golden Retriever named King Midas of Woodend. 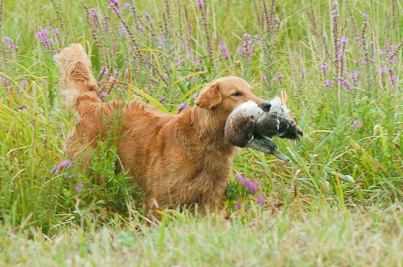 American retriever field trials are split into Derby, Qualifying, Open All-Age, Limited All-Age, Special All-Age, Amateur All-Age, and Owner-Handler Amateur All-Age stakes. Derby is for young dogs under two years of age, Qualifying is open to dogs that have not placed in any All-Age stake, and the various All-Age stakes are open to all dogs with certain limitations. Amateur All-Age stakes, for example, may be entered only by an amateur handler. Open All-Age stakes are open to all dogs and all handlers. Field trials are competitive, with placements from 1st through 4th awarded in each level. Only points earned by placing in All-Age stakes are accumulated toward the titles of Field Champion (FC) or Amateur Field Champion (AFC). 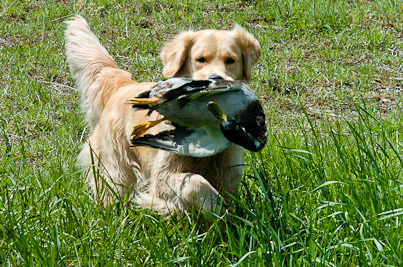 In recent years the interest in retriever field training and trialing has lead to the creation of new forms of the retriever sport. The Golden Retriever Club of America offers tests for the Working Certificate (WC) and Working Certificate Excellent (WCX) titles, which are awarded to any dog meeting the requirements at a test offered by a GRCA member club. The tests have evolved from traditional field trials but are non-competitive, meaning dogs are judged on a pass/fail basis. 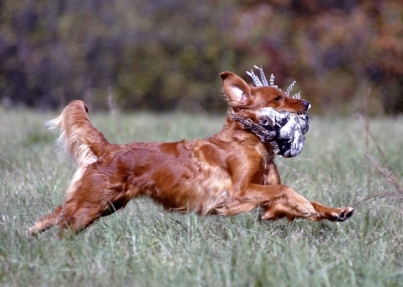 In the mid 1980s, another offspring of field trials appeared in the form of AKC hunting tests. Hunting tests had been a long time in coming to the AKC; they had been offered for a while by other organizations including the North American Hunting Retriever Association (NAHRA). Since AKC's involvement, however, hunting tests have exploded in popularity and are widely regarded as the weekend trainer's version of field trial. 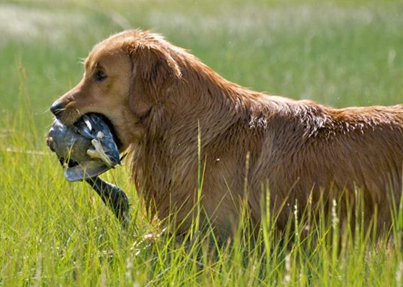 AKC hunting tests are non-competitive and offer three levels of testing: Junior, Senior and Master Hunter. Dogs must pass four tests at the Junior and Senior levels, and five at the Master level to earn AKC titles.